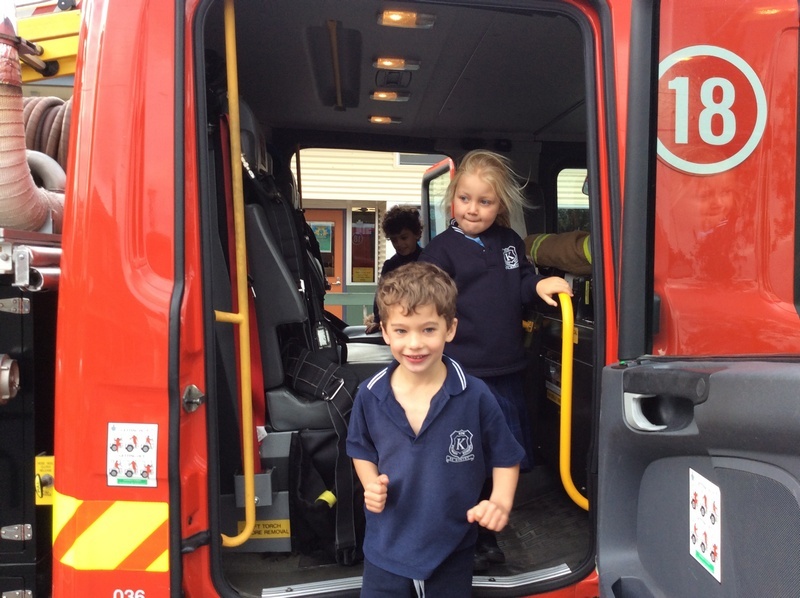 When the BIG RED TRUCK (otherwise known as a Fire Engine) visited the Preps at Kew Primary School, there was wide-eyed excitement and happiness from ALL…not just the students! 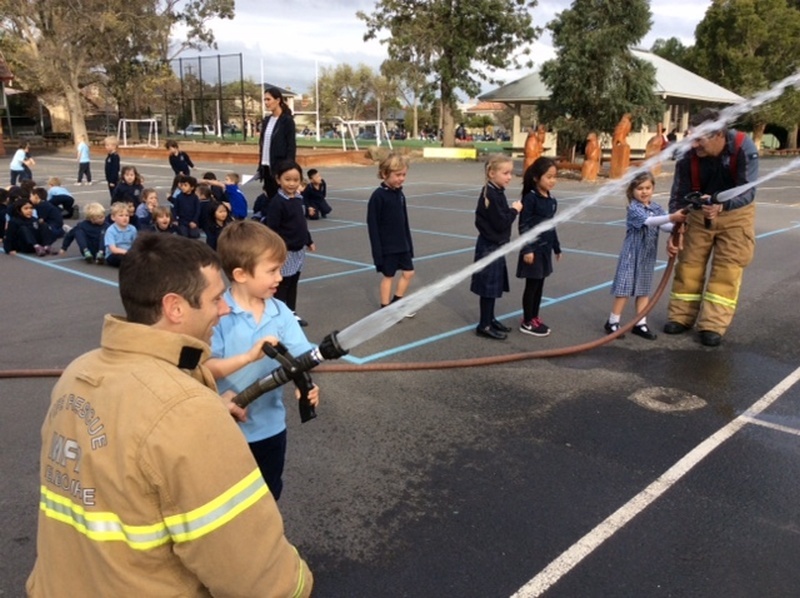 The Melbourne Fire Brigade visits the Preps each year over a two-week period to deliver their Fire Education Program. 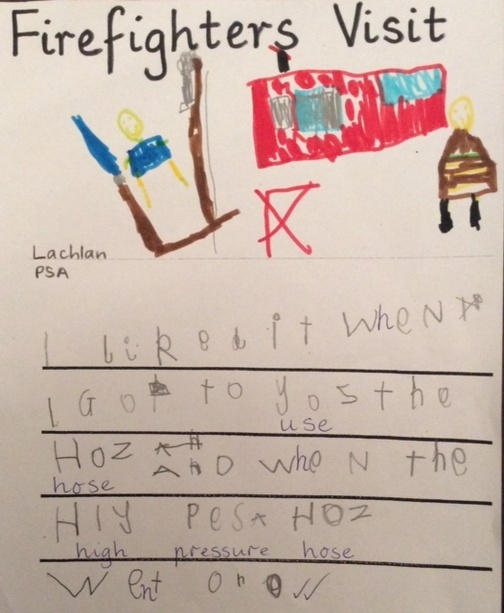 The Program delivered by fire fighters helps the children develop a basic understanding of fire safety and also helps them to see firefighters as community helpers. 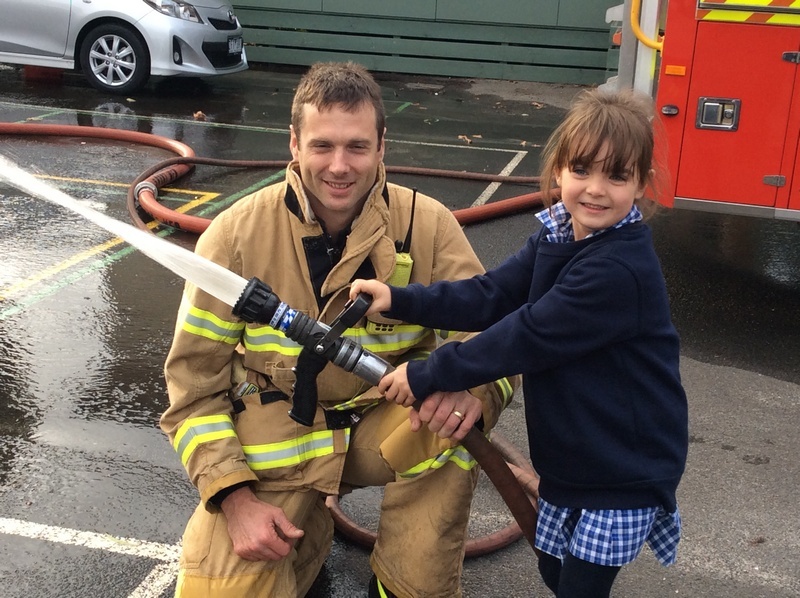 The ‘Fire Ed for Preps’ education program is one of the highlights for the Preps. 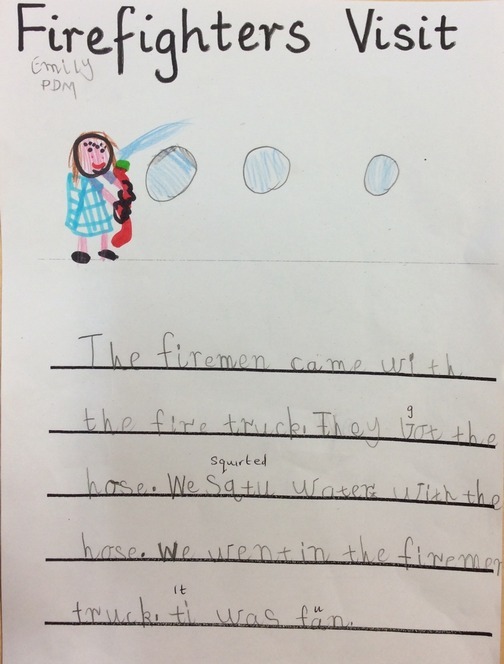 Here are a few of the Preps’ written reflections on what they saw or what they liked when the BIG RED TRUCK came to visit. 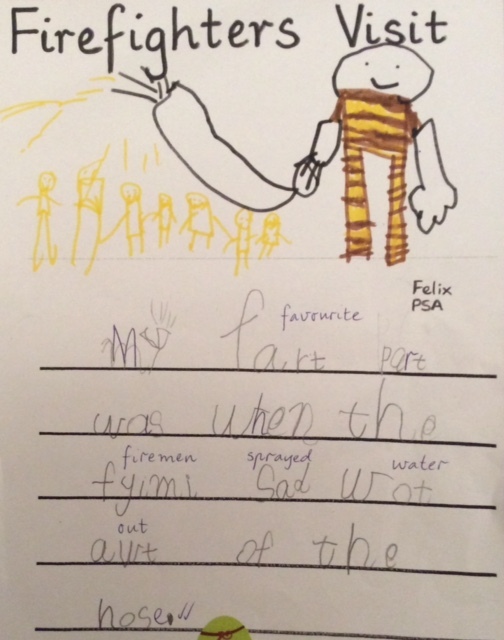 This entry was posted in Students and tagged incursion, Prep by Kate W. Bookmark the permalink.